Wales host the Republic of Ireland in Cardiff in a decisive match with a playoff place for next year’s World Cup in Russia up for grabs. We take you through our match preview and betting tips for the fixture at the Millennium Stadium. These two nations have met ten times previously, with Wales winning only once, Ireland triumphing five times alongside four draws. Of those clashes, only three have been in competitive matches including the 0-0 draw in Dublin earlier this qualifying campaign. Ireland’s only previous competitive fixture in Cardiff was a 2-2 draw in a qualification match for Euro 2008 a decade ago. The scoreless encounter earlier this year was made infamous by Neil Taylor’s leg breaking challenge on Seamus Coleman, for which the Welsh defender received a straight red card. Chris Coleman’s side are one of two undefeated sides in Group D, alongside Serbia, but have only managed four victories in their nine outings, drawing five. Wales have lost only one of their last 17 home matches – a 3-2 defeat to the Netherlands in a friendly in November 2015. Martin O’Neill’s team have won only four of their last 20 away matches – against Gibraltar, Georgia, Austria and Moldova. These two sides have the best defences in the group (Wales have conceded five while Ireland have let in six goals). Between them they have lost only one qualification match – Ireland’s 1-0 home defeat to Serbia last month. 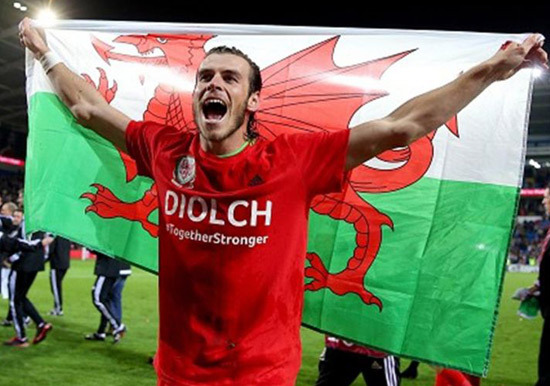 Star forward Gareth Bale is ruled out for Wales through injury, while Jazz Richards is the only other unavailable player for the hosts. O’Neill can again call upon duo James McClean and Robbie Brady who were suspended for the win over Moldova on Friday. Seamus Coleman remains sidelined as he recovers from an injury suffered when these two last met. This crucial encounter is simply too close to call with a low-scoring stalemate the most likely outcome. The two sides have already amassed nine draws between them in this qualifying campaign and a repeat of Dublin’s scoreless meeting should not be ruled out. Without Bale the hosts are light in attack while with the two wins over lowest-ranked seeds Moldova aside, Ireland have only scored five goals in seven qualifiers. The two team’s strength lies in a well-drilled defensive unit and that is likely to further enhance the chances of goals being kept to a minimum. Both sides can still mathematically win the group although should Serbia defeat Georgia in Belgrade, as expected, a playoff spot is the best either side can hope for. Despite both sides needing a positive result, neither is likely to be proactive and each would be delighted to win the game by the odd goal.